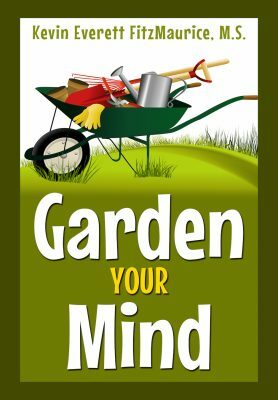 • Garden will teach you an easy and effective system of Cognitive Behavioral Therapy (CBT). Learn to manage your thinking by relating the management of your thinking to the management of a garden. Wouldn’t you agree that it would be nice to have a clear and easy way to understand how to improve your attitude? Don’t you agree that by improving your attitude, you improve your life by improving at least your problem-solving and coping abilities? The first thing that you must understand in order to be an effective gardener is the difference between weeds and plants. Else, how can you make good use of the soil? Therefore, the first principle is RECOGNIZE. If you cannot recognize the problem, you certainly cannot either problem-solve how to fix the problem or learn to cope effectively with the problem. Once you can recognize the difference between weeds and plants, then you need to remove the weeds. As any gardener can tell you, weeds steal the resources that your plants need and weeds will even choke out and kill your plants. Therefore, the second principle is REMOVE. If you cannot remove the problem, you certainly cannot keep from having the problem over and over again. Once you have recognized and removed the weeds, you then need to replace the weeds with plants. There is not much point to having clean soil if you are not going to plant in it. The fact is, if you do not plant in the clean soil, then the weeds will find their way back into your soil. Therefore, the third principle is REPLACE. If you do not replace the weeds with plants, then the weeds will gradually come back. The weeds are the self-defeating thoughts and scripts. The plants are the helpful and productive thoughts and scripts. The clean soil is the quiet and empty mind. The recognizing is the awareness of the short- and long-term results that your thinking provides: “Wherefore by their fruits ye shall know them.”–Matthew 7:20. The removing is disputing or talking yourself out of the stinking thinking. The replacing is the planting and nurturing of practical, factual, logical, positive, problem-solving, coping, risk-taking, etc., thinking that helps you to achieve your healthy goals. 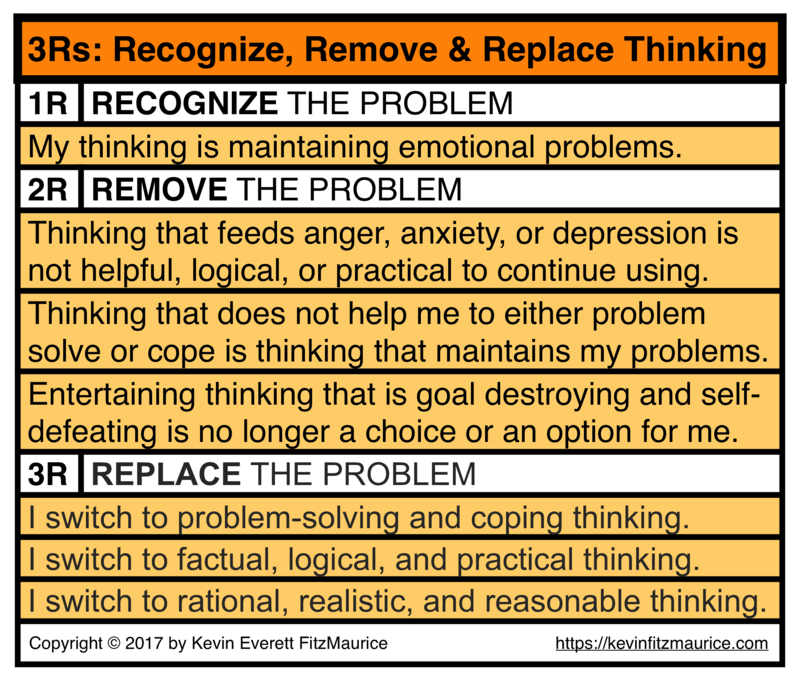 The replacing is making good use of your mind by devoting it to healthy and helpful thinking styles. You need to RECOGNIZE the weeds in your mind, to REMOVE the weeds from your mind, and to REPLACE the weeds in your mind with productive plants. That is, recognize and remove your hurtful thinking and replace it with helpful thinking. You are the garden not the weeds or plants in the garden. You are the mind, not the weeds or plants in the mind. The weeds and plants come and go, but the garden remains constant. The weeds and plants grow, develop, and change, but the garden remains the same.